Imagine a computer without mice, keyboards or controls – but more powerful and versatile than a small pad or tablet device. 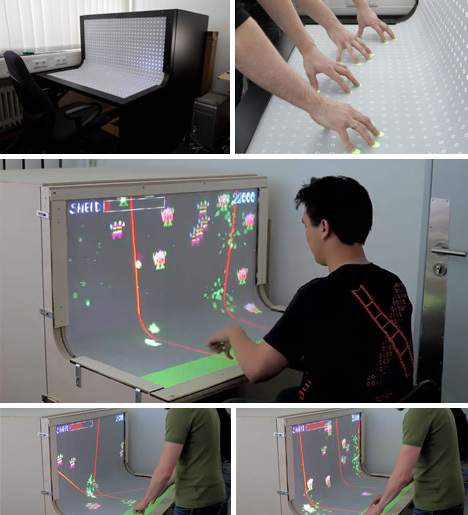 Drag-and-drop takes on a new meaning when it comes to this prototype workstation. 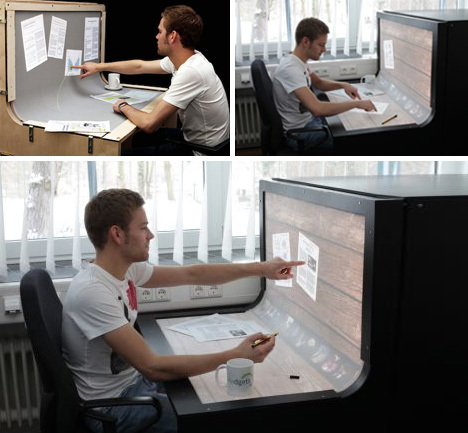 Vertical displays and horizontal interfaces are radically reconsidered – ideas about pencils, pens, paper, mice and documents both digital and physical are creatively revisited. The German Media Computing Group points out that it is difficult to move documents lying on our desks to the screens in front of us, and most of us still use different devices to annotate items digitally and physically (e.g. mice and keyboards versus pens or pencils). Through a simple curved shape and hybrid functionality, the BendDesk seeks the bridge various user interface gaps that are as much a byproduct of incremental design and accidental adaptation as anything. 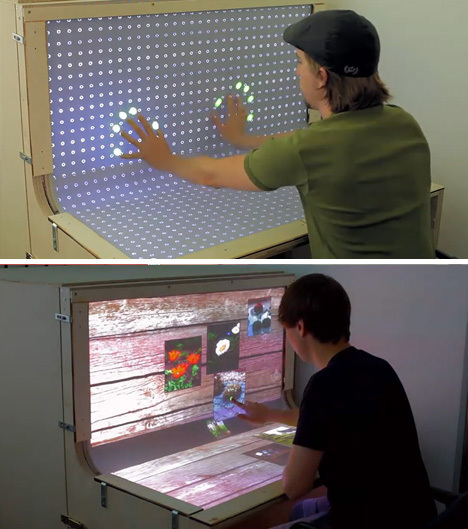 The concept is rather difficult to explain in writing, so watching the video may be your best bet – it shows the inner workings of this draft version, from hidden projectors and cameras to strips of LED lights. Notice that there is a great deal of variability to be had when one starts to work with bends – the curved area can become a task bar during a photo-sorting operation, or part of a larger screen when standing and playing a game.